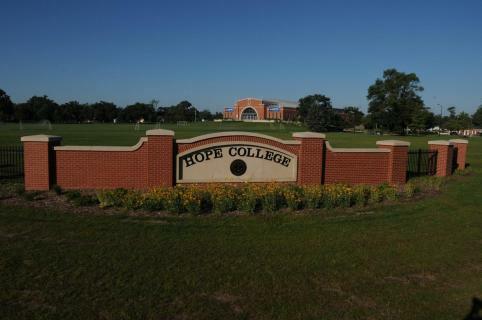 The World Christian Lecture Series of Hope College will feature the address “Nurturing a Sustainable Faith: A Research-Driven Approach to Long-Term Faith in Young People” by Dr. Kara E. Powell on Wednesday, Feb. 25, at 5:30 p.m. at Pillar Church. Named by “Christianity Today” as one of “50 Women to Watch”, Powell is the executive director of the Fuller Youth Institute and a faculty member at Fuller Theological Seminary in Pasadena, California. She is a regular speaker at Youth Specialties National Youth Workers Conventions, the Orange Conference and the Simply Youth Ministry Conference, as well as retreats and conferences across the country. In addition to her roles at Fuller Seminary, she currently serves as an advisor to Youth Specialties, and volunteers in student ministries at Lake Avenue Church in Pasadena. Prior to her involvement in the Fuller Youth Institute and Fuller Theological Seminary, Powell was an assistant professor of youth ministry and practical theology at Azusa Pacific University. She was also a college pastor at Lake Avenue Church from 1995 to 1998 and was the associate youth minister at San Diego First Assembly of God from 1991 to 1995. During college, she gained an ongoing commitment to church/parachurch partnerships during her time on Young Life Student Staff in the Stanford area. She completed her Ph.D. in practical theology from Fuller Seminary with a focus on pastoral role expectations in 2000; an M.Div. from Bethel Theological Seminary in 1994; and a BA in human biology, graduating with Honors, from Stanford University in 1991. The World Christian Lecture Series was established to invite recognized individuals who are leaders in their respective disciplines to join with the Hope and Holland Communities in exploring issues, themes and ideas that face Christians in the world. This annual Lecture Series seeks to provide a forum to inspire theological reflection, as well as provide the opportunity to engage with those who have made a significant contribution to culture as Christians. Speakers who will be considered may include Christian scholars, artists, politicians, and industry and church leaders. The World Christian Lecture Series is funded through an endowment at the college established by an anonymous donor who supports Hope College’s continued mission to educate students for global leadership in the context of the historic Christian faith. Pillar Church is located at 57 E. 10th St., between Ninth and 10th streets along College Avenue near downtown Holland.